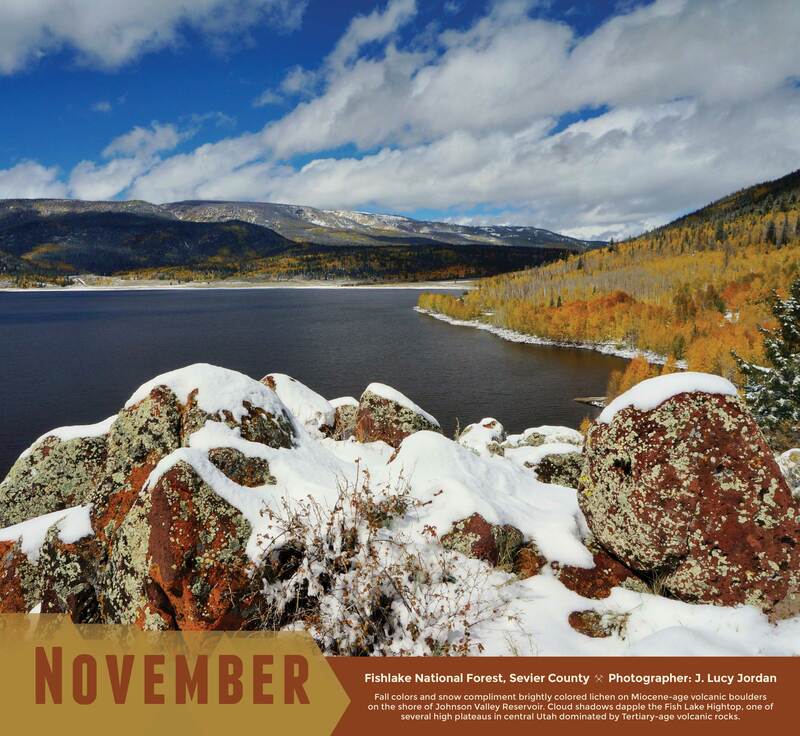 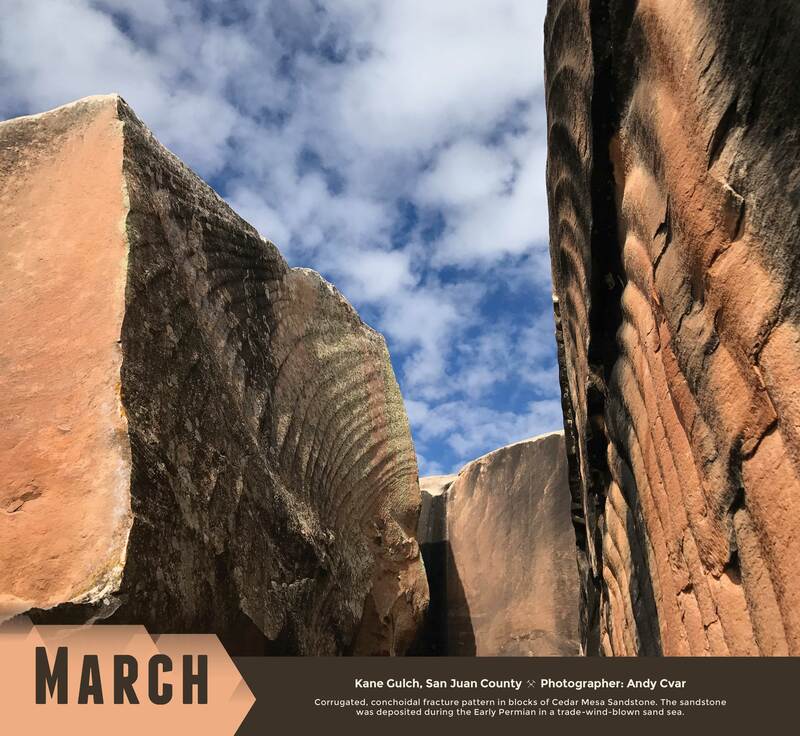 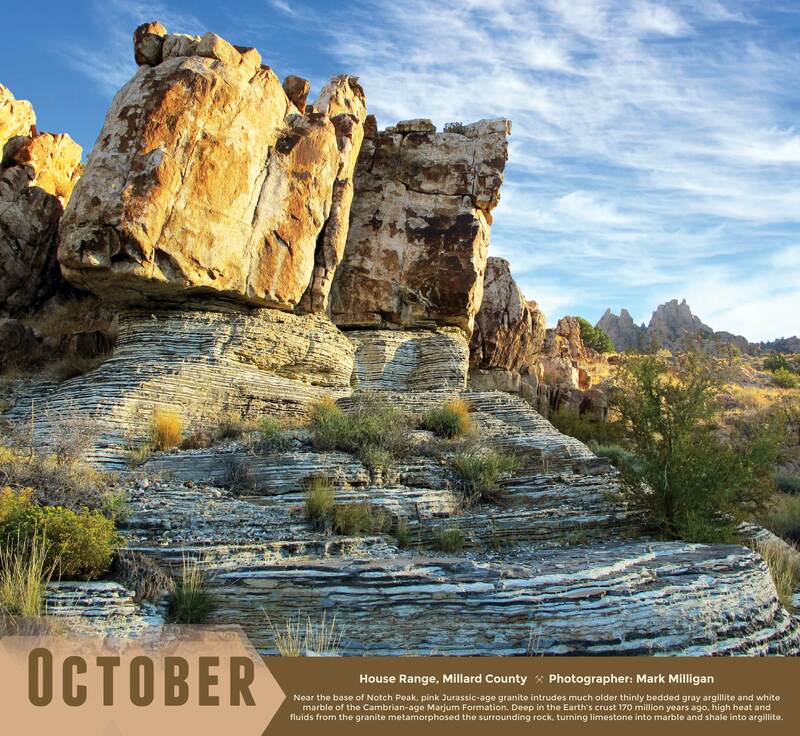 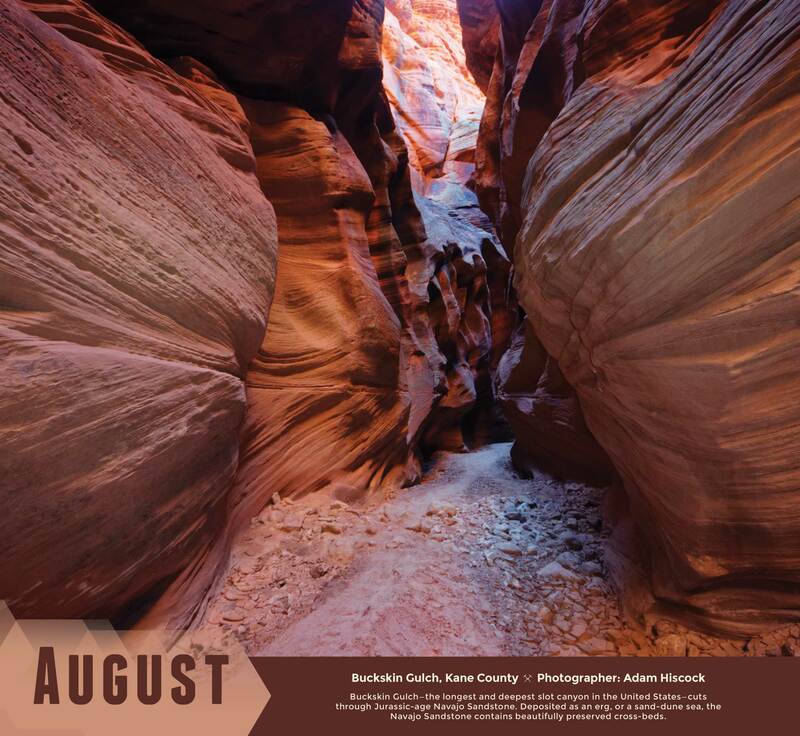 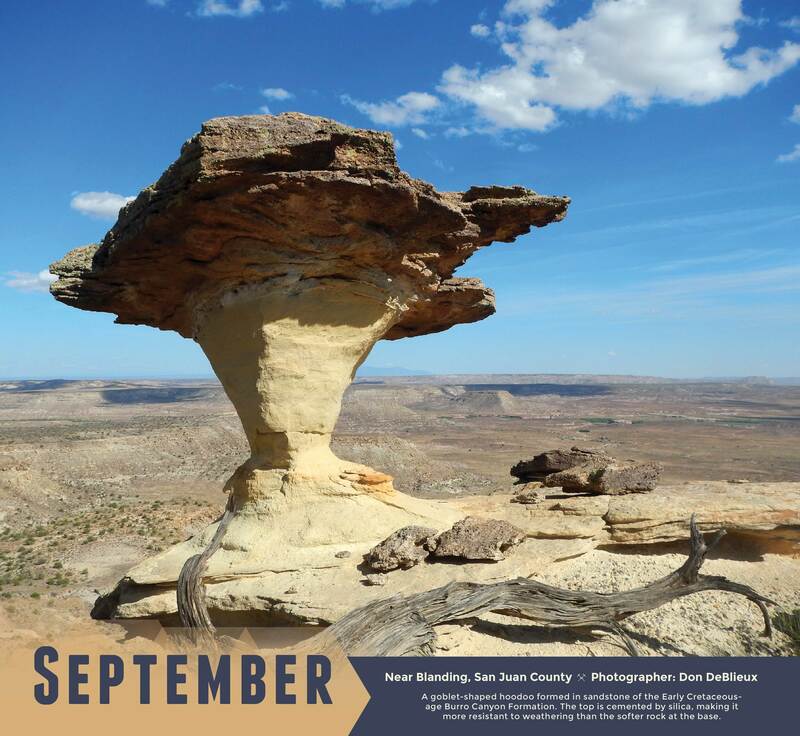 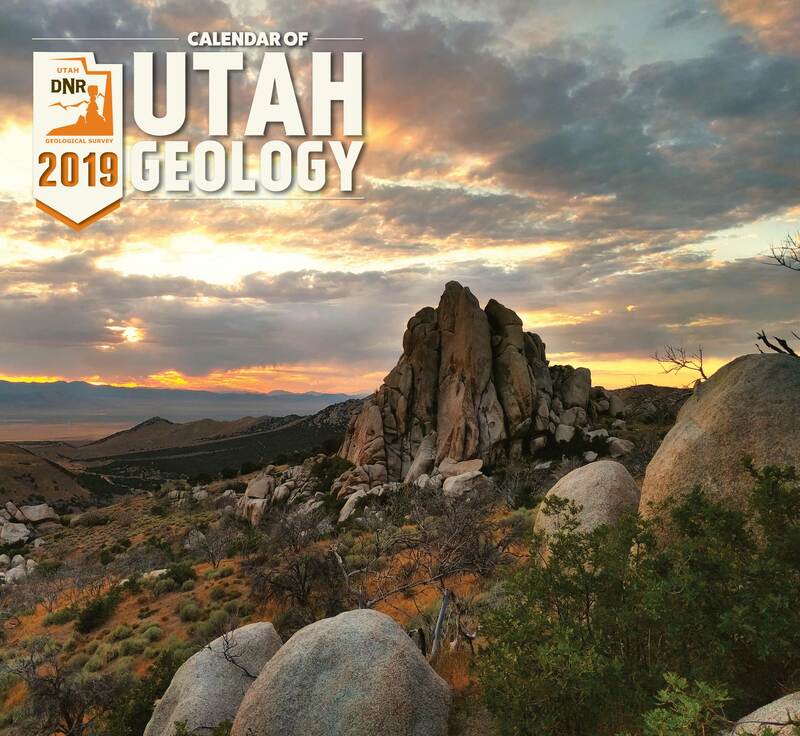 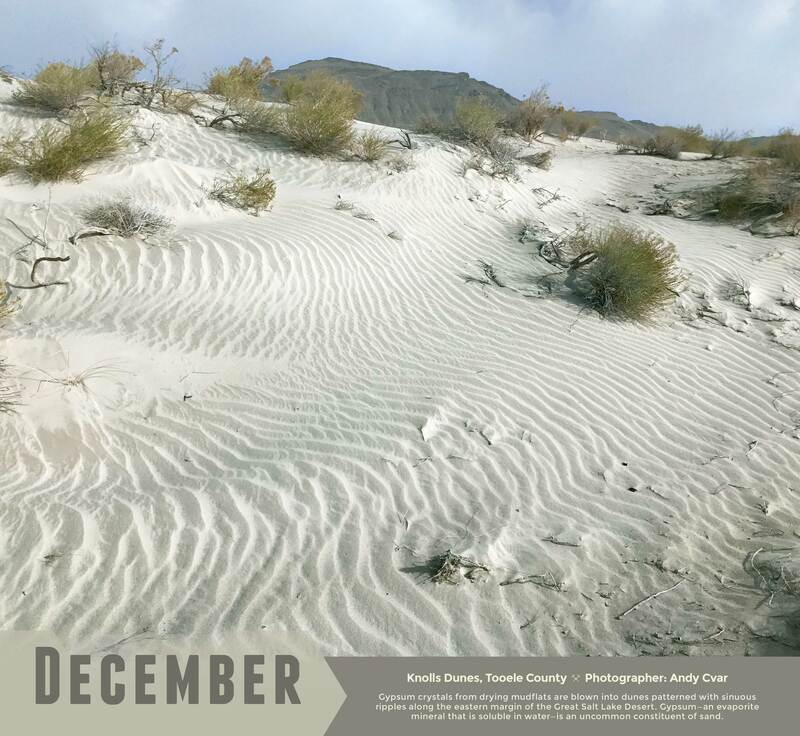 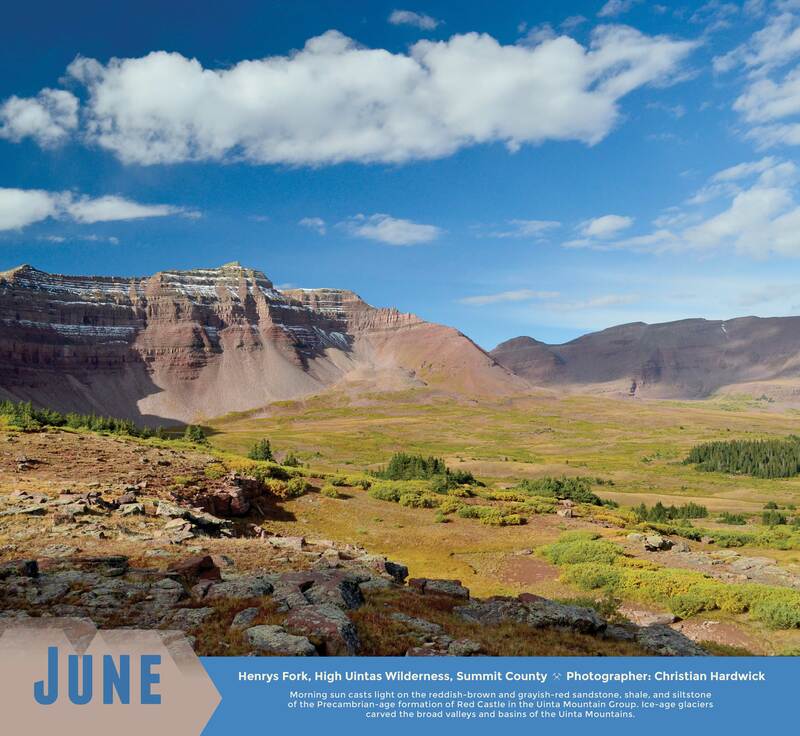 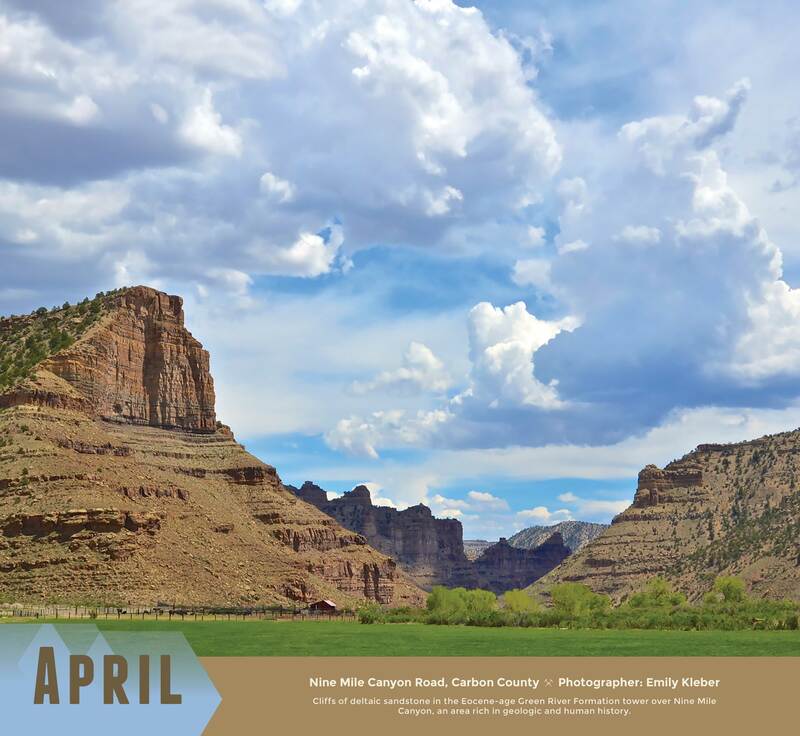 The 2019 Calendar of Utah Geology features scenic photographs highlighting Utah’s geologic diversity. 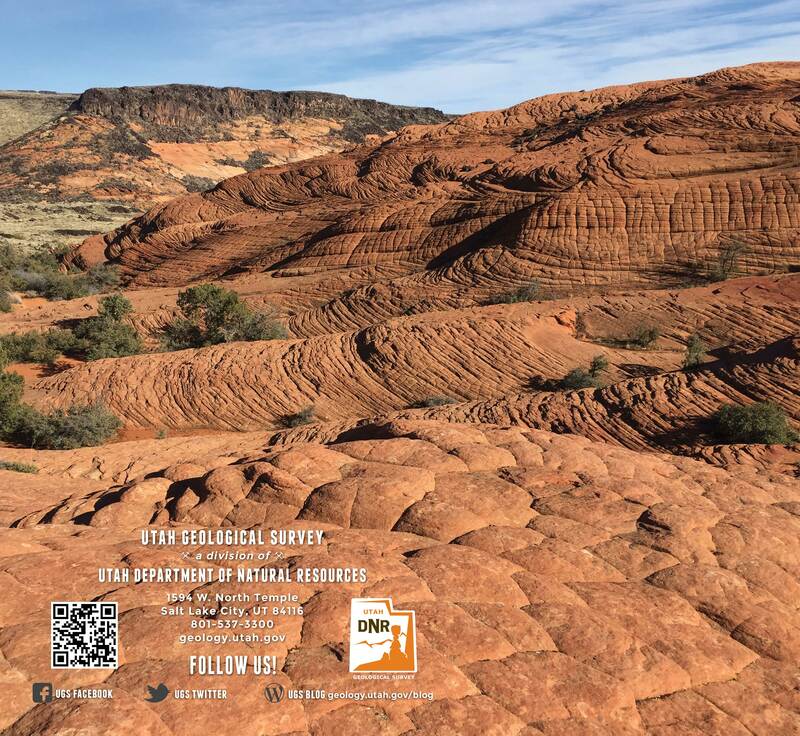 The photographs were taken by UGS employees who are often on assignment in some of the state’s most interesting and unique locations. 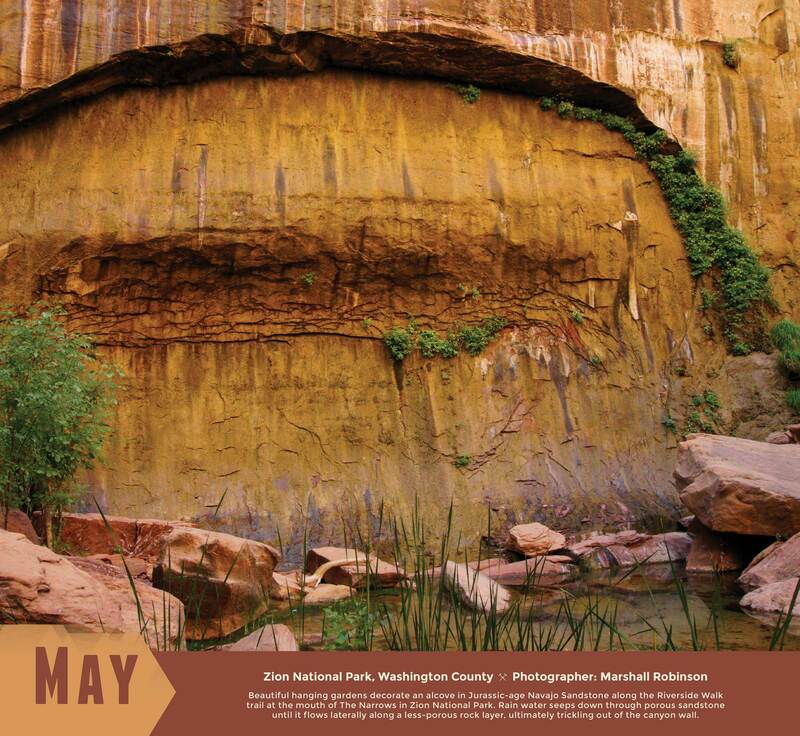 Pictures are accompanied by geologic descriptions and location information. 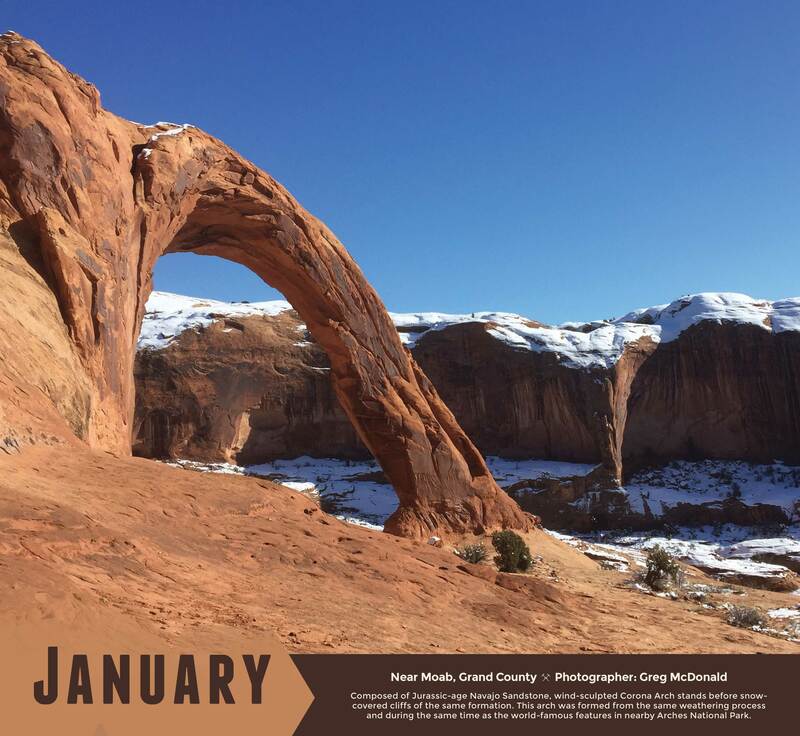 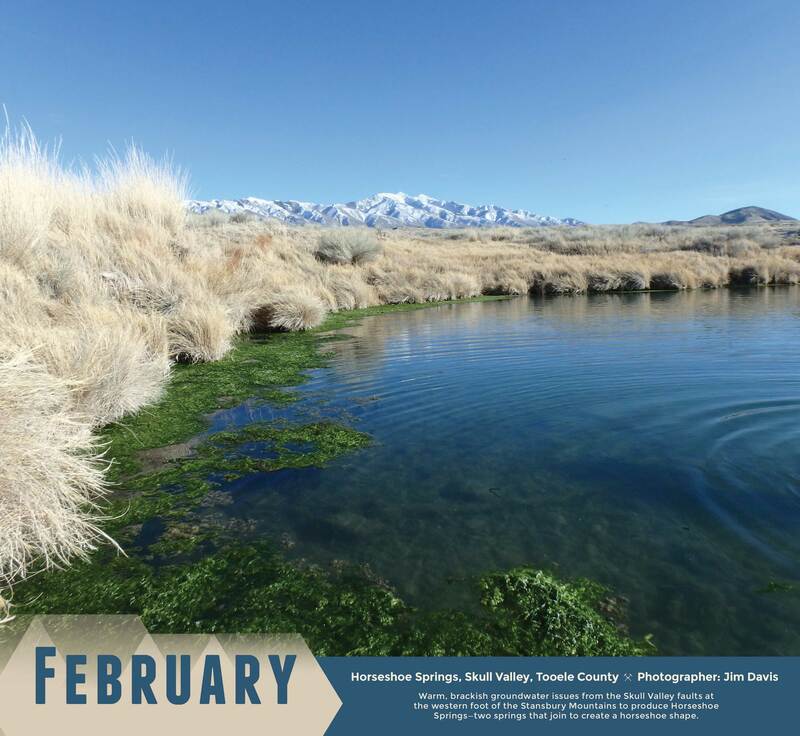 The 2019 calendar is available for $5.95 each or $4.95 for orders of 10 or more at the Natural Resources Map & Bookstore, 1594 West North Temple, Salt Lake City, (801) 537-3320 or 1-888-UTAHMAP. 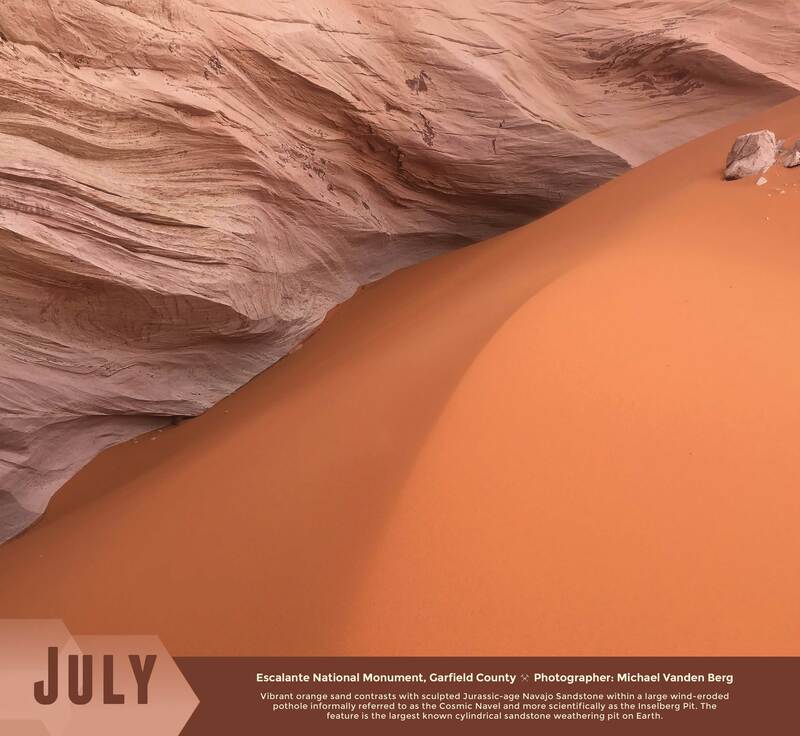 They may also be purchased online.